Marcus smiling a couple days after his open heart surgery at C. S. Motts Hospital in Ann Arbor, Michigan. 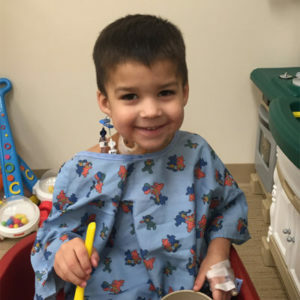 Doctors stated that the procedure to fix a Secundum ASD went as planned. Way to go Marcus!!!! © Copyright Eli's Heart 2017. All rights reserved.